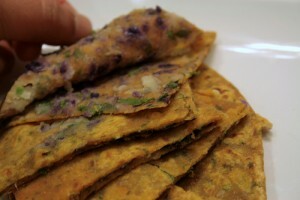 Arabi Paratha recipe by Sally at PakiRecipes.com. Heat oil & add mince & other ingredients & cook until water dries. Sprinkle with corriander leaves, mint leaves & green chillies. Kneed flour with milk until the dough smooth, make into 34 equal portion. Apply oil on top and leave aside for 15 minutes. Apply oil on a marble top or a smooth surface and roll one ball of the dough. Put preapred mince sprinkle gram masala chopped tomatoes sprink onions. Break an egg on top and fold sides so that a squres is formed. Fry on medium heat till golden on both sides. don't use chinese salt its not good for health..the actual arabic paratha is called "mutabbak" and it contain few ingredients. mince is finely chopped boneless meat! !